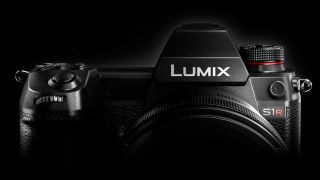 Panasonic has shared more details of its hotly anticipated full-frame mirrorless cameras, the Lumix S1 and Lumix S1R, at CES 2019. With Panasonic's development announcement back in September at Photokina 2018 giving limited info on the two new cameras, we hoped we were finally getting the full lowdown on the company's first full-frame mirrorless cameras. That isn't quite the case, but we are learning about a couple more features that we can expect to see on the Lumix S1 and Lumix S1R. As we know already, the two cameras share an identical design, with the key differentiator being the sensors they use: the S1 features a 24MP sensor and the S1R sports a denser 47MP chip. The higher-resolution S1R is targeted particularly at professional stills photographers, while the lower-resolution S1 is aimed at video users; both cameras, though will be the first full-frame mirrorless cameras to offer 4K video capture at up to 60p. At CES Panasonic revealed that both cameras would feature a High Resolution mode. In this mode, with the aid of the S1 and S1R's Body Image Stabilizer mechanism, eight consecutive images are captured while shifting the sensor. These eight images are then merged into a single high-res image by the new Venus Engine image processor, although Panasonic didn't share what resolution this final image will be output at. Interestingly, it also looks like it will work even it moving subjects are included in the scene, with sub options available to suppress motion blur, so photographers can use this mode the same as shooting in a normal photo shooting mode. We can also expect a High Dynamic Range mode on both the Lumix S1 and Lumix S1R as well. Known as HLG Photo, it allows images to be shot with a wider dynamic range and retain more detail in both the highlights and shadows, which can otherwise be burnt out if overexposed or underexposed. Panasonic believes this new HLG Photo mode will allow photographers to achieve rich, precise color reproduction, with the HSP files that are output in this mode able to be played back on the latest Panasonic HLG-compliant 4K TVs via a HDMI cable connection or other HLG compatible devices. Finally, we now know when we're going to be able to get our hands on the Lumix S1 and Lumix S1R, with Panasonic stating that shipping will start at the end of March this year. Pricing, though, is still to be confirmed.